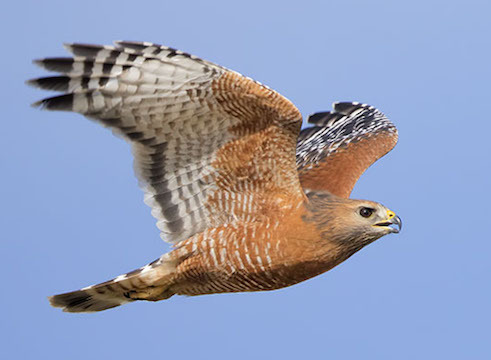 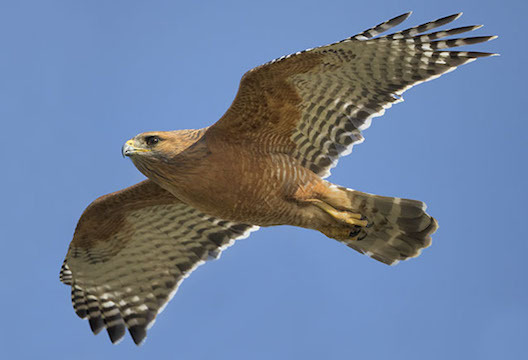 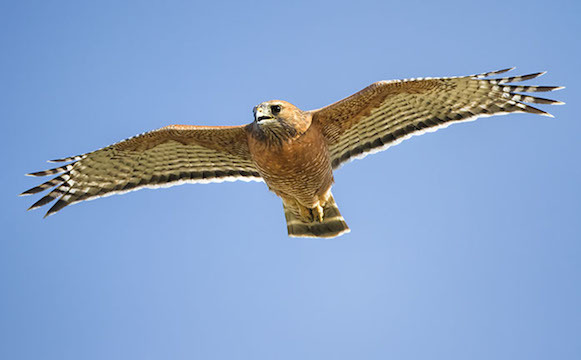 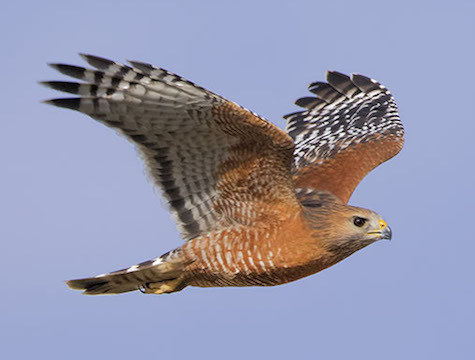 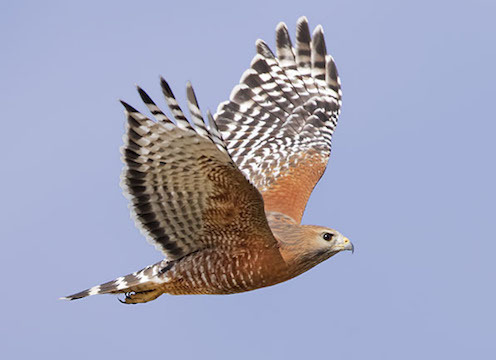 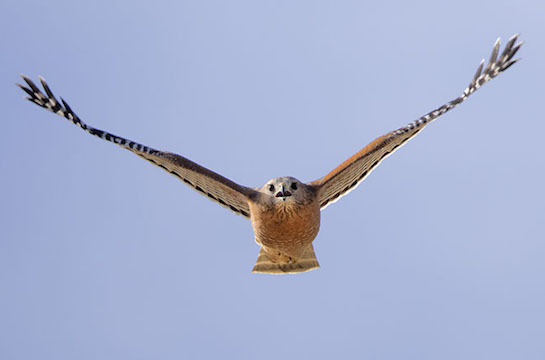 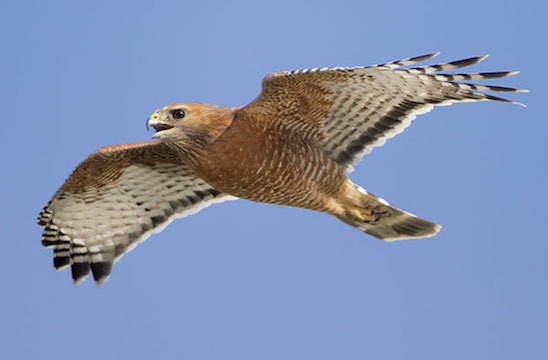 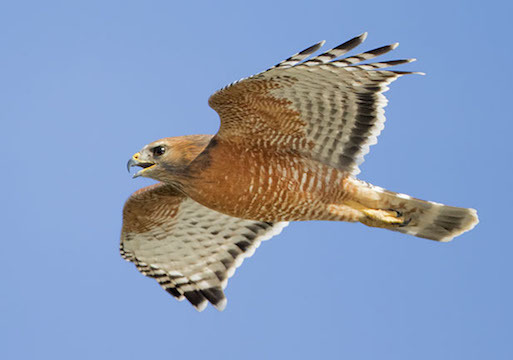 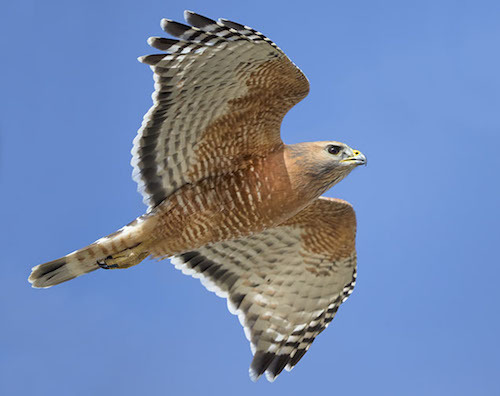 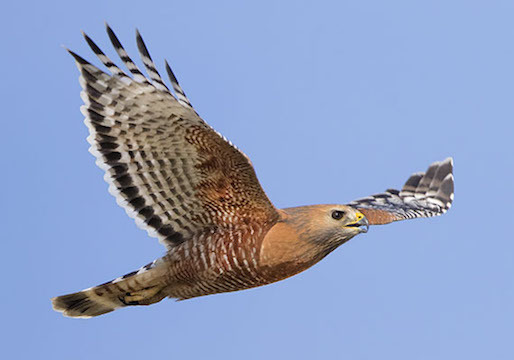 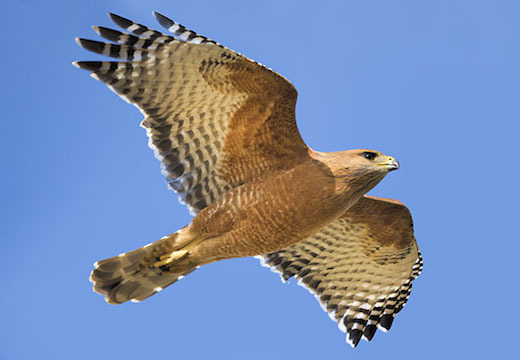 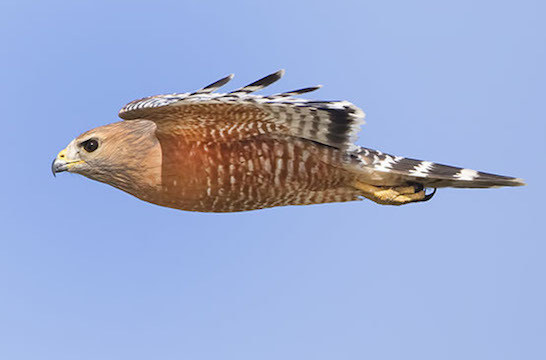 Red-shouldered hawks are fairly easy to identify in flight in either juvenile or adult stages. 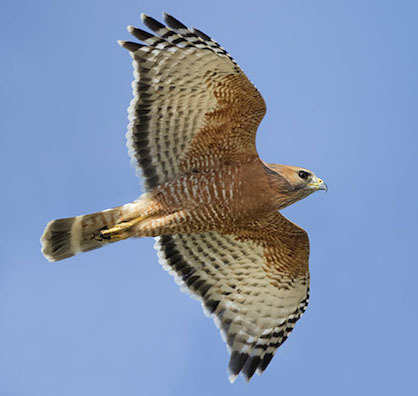 They are smaller than the ubiquitous red-tailed hawk and have a stiff-winged flap-and-glide carriage, a dark-and-white 'checkerboard' look to the wings and tail and rusty-red shoulders, and semi-transparent 'windows' at the base of the primary feathers. 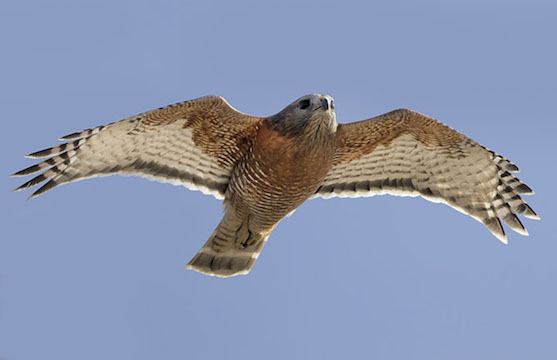 Adults are richly rust-red below with indistinct cross-banding; juveniles have distinctive brown 'arrowhead' streaks on the underside. 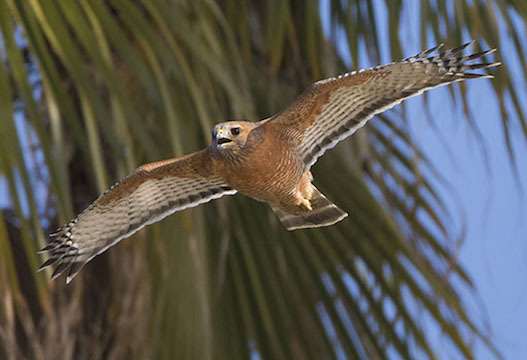 Both adults and juveniles are quite vocal, with a loud repeated 'kee-yeer' call that is a familiar sound in riparian woodlands and many well-treed suburban neighborhoods in California; I photographed these in Riverside. 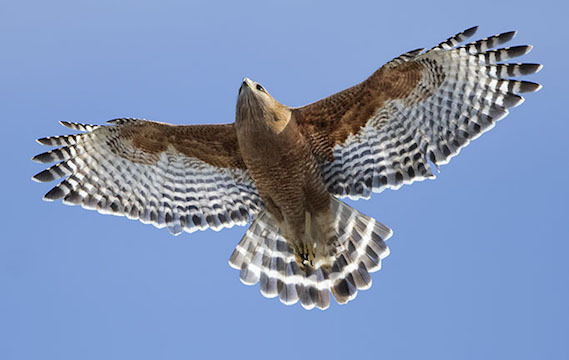 Click here for more images of flying birds, here for pictures of perched adults and here for perched juveniles. 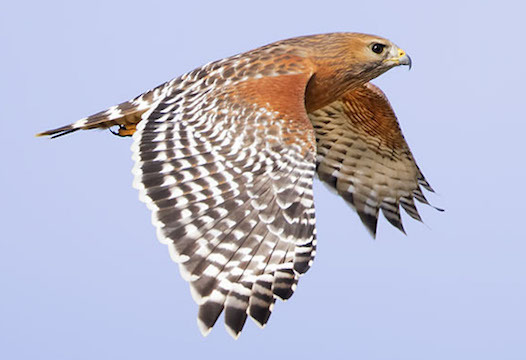 Photos of the distinctively colored Florida race are on another page.